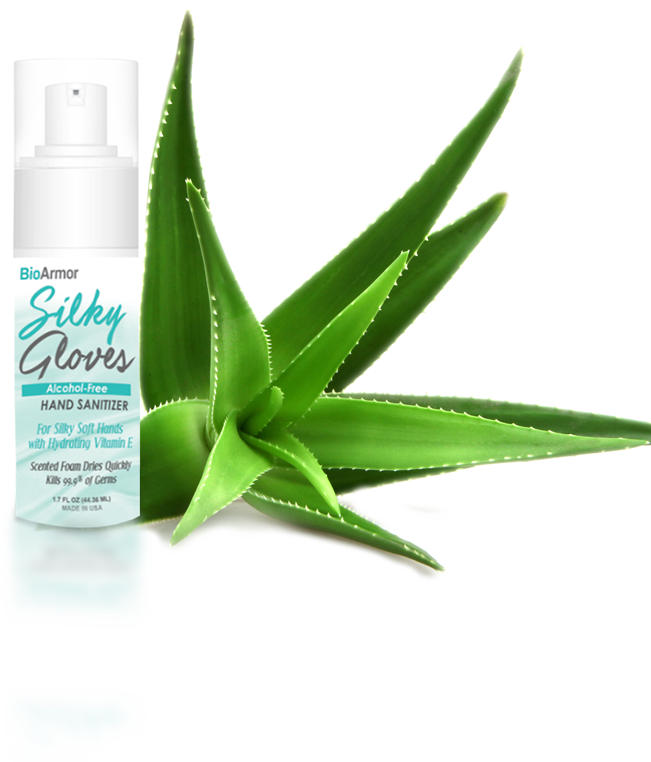 BioArmor™ Silky Gloves Hand Sanitizer is an alcohol-free, non-toxic antimicrobial hand sanitizer that safely disinfects, killing 99.99% of harmful germs, bacteria and micro-organisms, while keeping hands soft and moisturized with aloe and vitamin B5. BioArmor™ Silky Gloves Hand Sanitizer contains no alcohol or toxic chemicals. Instead it is comprised of a natural formula to safely protect you and your environment from the spread of harmful germs, bacteria and micro-organism growth. Alcohol-based hand sanitizers contain 60% -95% percentages of ethyl alcohol and toxic chemicals to poison germs, making the sanitizer highly flammable and dangerous. It is the alcohol/chemicals in the products that kill germs; however, it kills not only the harmful germs, but also the natural flora on the skin. Skin dries out and cracks, opening the skin to infection and illness. This means that as soon as the alcohol-based hand sanitizer has dried or evaporated from the skin, it becomes less effective in killing and leaves your hands highly susceptible to recontamination and/or infection.